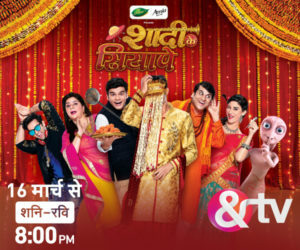 AfterÂ MiÂ Marathi, Aidem Ventures has won yet another regional account to handle their India sales – Lakshyya Entertaiment,Â DreamsÂ DaruÂ BramhaÂ Productionsâ€™ first and exclusive 24X7Â OdiaÂ Satellite GEC. It is the only FTA channel in theÂ OdiaÂ GEC genre since its launch in September 2010. “Aidem has a strong foothold in the Media Sales space. Its eminent team of young and motivated professionals commands great trust among Indian advertisers.Â Lakshyya Entertainment is growing at a scorching pace since its launch. We are positive that Aidem will take it to greater lengths,” saidÂ RudraÂ PratapÂ Mohanty, Director, DreamsÂ DaruÂ BramhaProductions. The channel share ofÂ OdiaÂ GECs stood at 12.78 per cent in 2011Â (TAM, C&S 4+,Â Odisha). The overall GRPs have also gone up considerably. TV spends inÂ OdishaÂ have increased more than 5 times over the past 4 years. This is a big leap for a predominantly print-dominated market. TheÂ OdiaÂ television marketâ€™s advertising revenues were pegged atÂ Rs70Â Crores in 2011 and are poised to grow further (IRS Q3 2011). DreamsÂ DaruÂ BramhaÂ Productions is a collaboration ofÂ DarubramhaÂ Productions and Dreams Digital Network.Â DaruÂ BramhaÂ Productions is one of the largest music label (Odiacontent) and Film Production company ofÂ OdishaÂ whereas Dreams Digital Network is a film studio house, having the state- of- art Editing Studios. Aidem Ventures isIndiaâ€™s leading independent Media Consulting, Marketing and Advertising Sales Company. Aidem is a professional marketing services firm currently managed by Vikas Khanchandani, an experienced industry professional, along with a team of over 100+ trained professionals located across all major media markets in India. What next for Raj Nayak? © MXM India Private Limited Powered By: Mediology Software Pvt.Ltd.